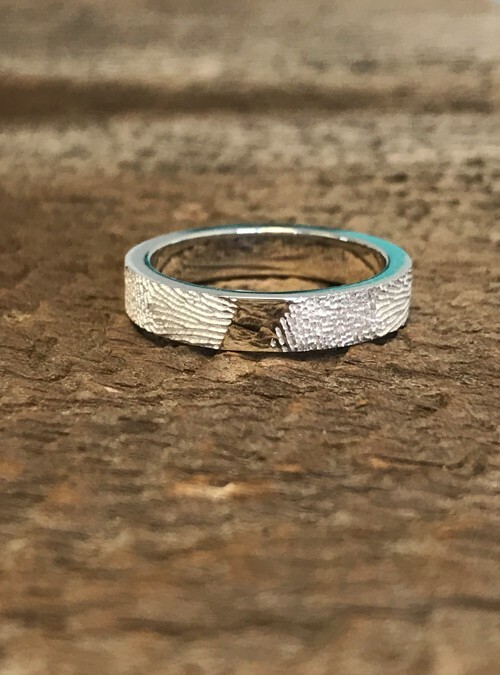 Loved ones’ fingerprints forever captured in white gold and so true to life you’ll swear your loved ones just touched your ring. Be reminded of their love every time you look at your hand. 4mm wide with a flat edge for a modern look. Consider adding your favourite gemstones. Personalize with one or two fingerprints. Inquire to add additional fingerprints. Engraving in block print on the inside of the ring.